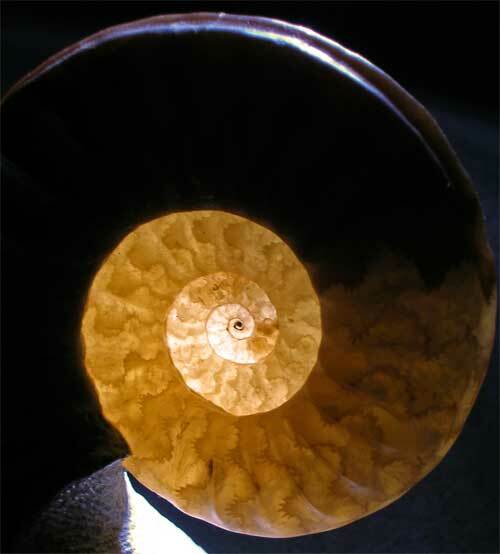 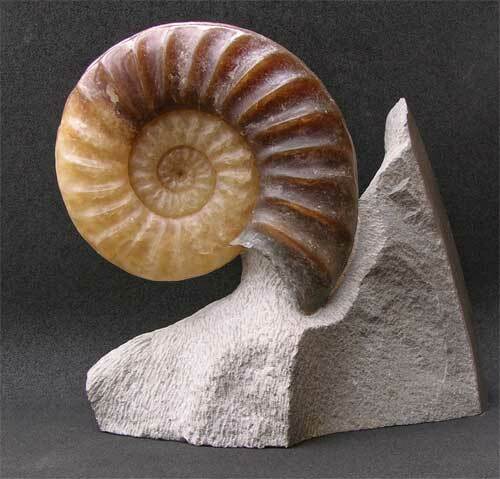 Fossil Ammonites prepared in this way by Andy Cowap are not only desirable to collectors, but also Interior Designers. 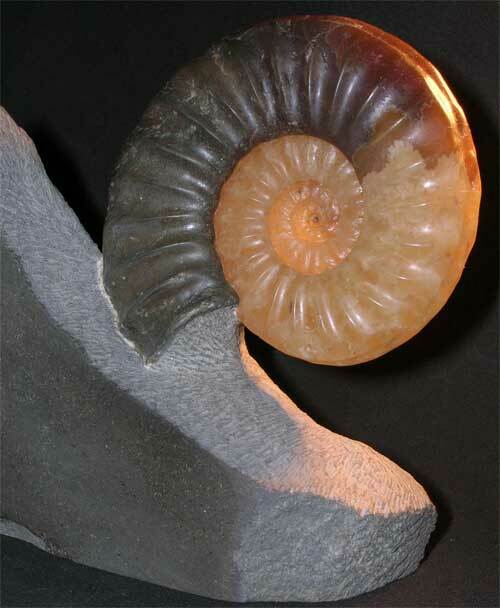 With light present at the back of the fossil ammonite the colours are amazing resembling the morning sun. 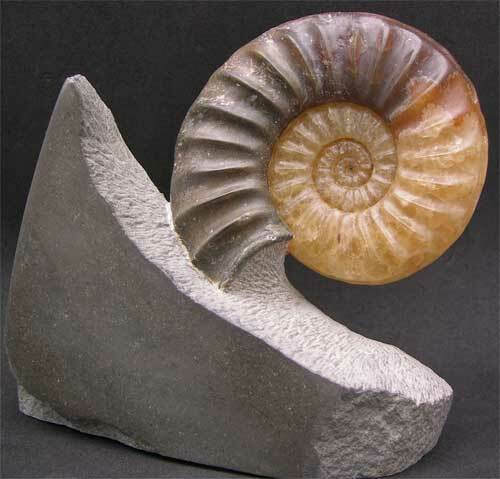 Each sculptured ammonite from this locality prepared by Andy Cowap is unique and very desirable.